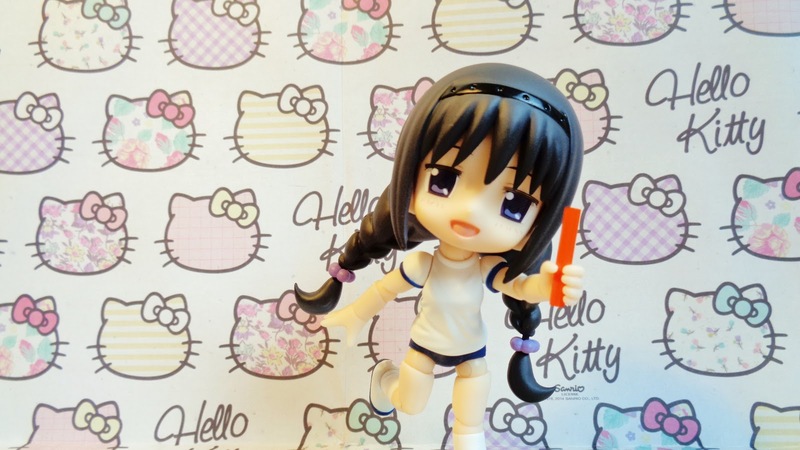 Cu-poche is a line of articulated chibi figures and as a part of that line they have also released several accessory sets which can be used with all figures in the line. 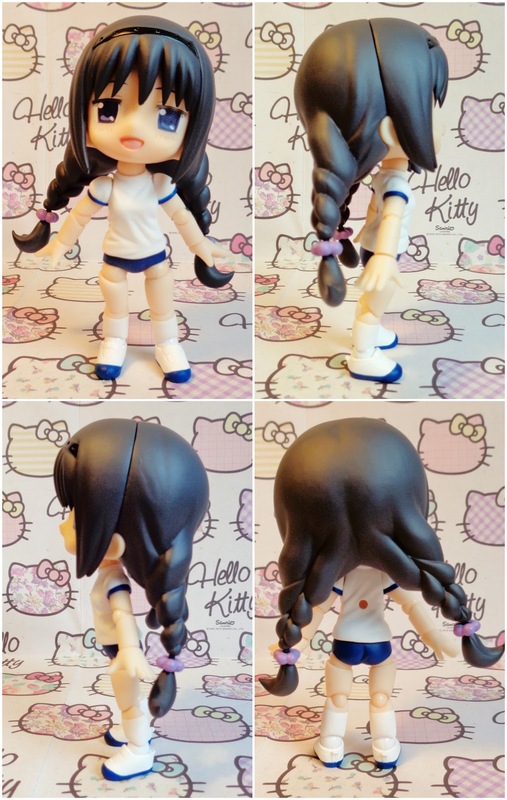 This set is the Summer Gym Suit Body and the main event of the set is the body which has all the articulation of a standard Cu-poche figure. As for the paint it has a few mistakes on one of the sleeves but I am sure I can sort them out with some nail polish remover, the sculpt however is great with nice folds in the shirt and pants. As a part of the set a standard Cu-poche stand is included though this time it is green and in place of a claw attachment is an odd L-shaped stand which I cannot figure out a use for. If you know what it is supposed to be used for please let me know. As well as this you get a flag pole and sticker sheet for making the flag. I would have preferred the flag to be made as one moulded plastic piece with a pre-selected number painted on, this is because personally I hate having to apply stickers to figures. You also get a small pole which acts as a relay stick. As for hands you get an open pair as default and a pair for holding the accessories. 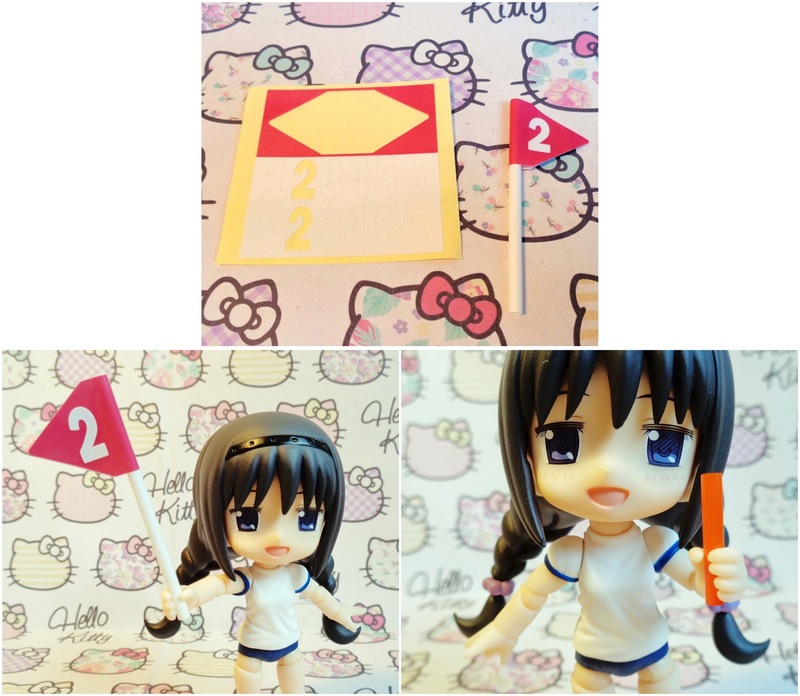 Over all I am happy with the set, the flag pole and relay stick are kind of low quality in my opinion however my main reason for purchasing the set was for the body, thus I do still recommend this set for collectors of the Cu-poche line.